A tough start for the 6th season of Copa Podio has had the promotion’s organizers doing overtime to release a card worthy of the reputation the event conquered in the past. The effort does seem to have paid in the end as the lightweight Grand Prix, set for late February 2019, has gathered enough ingredients for a solid show. So far, 6 names were pulled out of the GP since the card was first released a few weeks ago, the most headline-worthy name to be pulled out was blue belt prodigy, Micael Galvão, who had been confirmed as one of the main attractions for the show only a couple of weeks ago but ended up being removed from the card for reasons not disclosed. Replacing Micael will be light featherweight brown belt Diego Pato, who just a few weeks ago conquered his first European title in his division. The line-up will also feature another current European champion in Levi Jones-Leary. The Grand Prix tournament will have one big favorite in the Norwegian submission hunter Tommy Langaker. The Kimura team guard wizard will have a bullseye on his back, and two athletes closely behind him in favoritism, namely the aforementioned Levi Jones and, arguably, Luan Carvalho of Nova União, a 2x Brazilian Nationals champion and a very underrated grappler. Also on the show – a mini prelims middleweight tournament. This championship’s winner will fill out a vacancy for Copa Podio’s GP, which will take place in June-July this year. This preliminary set up will feature exciting names such as Rio de Janeiro’s Ruan Oliveira (Soul Fighters), Salomão Ribeiro (Alliance Rio) and Rômulo Azevedo ‘Caju’. 3 big players on the international circuit. One of the most exciting athletes to watch in today’s jiu-jitsu is Langaker, who came in as a last-minute replacement for his training partner Espen Mathiesen (injured). The key element in Tommy’s game is his aggression. He is quick, strong, flexible and a submission hunter, the latter feature can also be his biggest downfall, as his (very few) losses in his weight have come to more strategic players who did not meet Tommy’s enthusiasm for the fight. Nevertheless, count Langaker as one of the strongest candidates to gold at Copa Podio, as the “keep the game moving” rules applied here land very well with the Norwegian’s approach to grappling and do not fair well for stallers. The famous “Pica-Pau” is a Copa Podio veteran, having competed in the “Vikings vs Cabra da Peste” team challenge a few years ago. Since then Yan earned his black belt and cemented his name in the lightweight division with high profile wins over names such as Edwin Najmi, Andris Brunovskis, Gabriel Rollo and many more. Lucas is a points oriented athlete, who plays aggressively and can keep a good pace, but will also use strategy when needed. A complete grappler with good takedowns, a capable guard and is very hard to score on. Another big name on this roster is Luan, the powerful light/middleweight Copa Podio veteran. Carvalho has wins over huge names of the sport, including the legendary Lucas Lepri, and is one of the favorites come February 16. 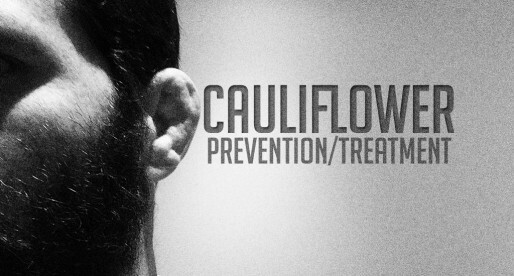 Much like Pica-Pau, Carvalho is a points-based competitor with a solid competitor mindset. Carvalho has good wrestling, great back attacks and is very hard to score on. One of the physically strongest athletes on the GP. One of the best guard players competing in Brazil today, Loureiro is a product of Mario Reis’ famous academy in Porto Alegre who conquered his place on this roster by winning a trials match early in 2018. 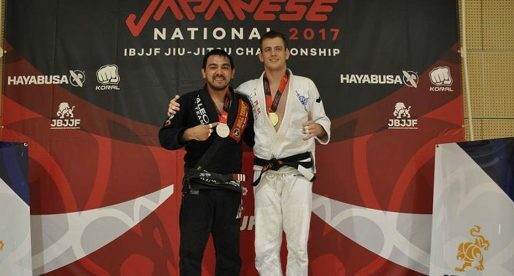 Loureiro earned a medal at the IBJJF World Championship in 2017 and a Brasileiro title back in 2016. Last year Loureiro got all the way to the final of the Nationals and although he lacks international recognition, he is a very solid contender. A huge prospect for the future of our sport is the Australian berimbolo sensation, Mr. Levizão Jones. Jones has a fantastic guard which he merges very well with a modern/fluid style of grappling, and judging by his performance in Portugal earlier this year at the Euros, he is more than prepared to take the Copa Podio GP belt. One of the best competitors in the European circuit is brown belt Norwegian grappler, Tarik Hopstock, a country that has gained plenty of momentum in our sport over the past few years. The young Eduardo Rios pupil is famous for his trademark shoulder lock, the “Tarikoplata” which he’s used plenty of times in the purple and brown belt divisions. Tarik certainly has the talent to fly high in this martial art, this year’s Copa Podio will be an excellent test to assess at what stage the youngster is at this point in time. One thing Copa Podio has always been proud to present to its viewers, and that is the element of surprise. Kaddur earned his spot at the Copa Podio GP after a few brave performances at the promotion’s trials last year, where she showed a very strong mindset and an aggressive grappling style. Yusef trains and competes mainly on the Spanish circuit – which is not one of the strongest BJJ hotbeds in Europe, as such he is also the biggest riddle in this Grand Prix. Will the lack of high-level competition affect the performance of Kaddur, or will he take the opportunity and rise to the occasion, becoming the dark horse of the event? A very talented competitor is Diego Oliveira, also known as ‘Pato’ (Duck) who came in as a last minute replacement for Mica Galvão. Diego has only recently been promoted to brown belt and usually competes at light-featherweight. This means that, on match day, he will likely give up, at the very least, 10 kilos (22lbs) to most of the other athletes on this Grand Prix, who will also have more experience in competing at his level. The fact that Diego accepted the challenge proves just how much of a warrior he is, though we believe Pato will face serious difficulties to get a win on this tournament. Another interesting last minute addition to the event is the guillotine Irish Master, Mr. Darragh O’Conaill, a black belt under Saulo and Alexandre Ribeiro, and a real-life treasure for Ireland’s grappling. Well rounded in all senses of the word when it comes to the sport of jiu-jitsu, O’Conaill is his country’s first big player on the international circuit, a career he developed in parallel with his coach as an instructor. Some older grappling fans might remember Darragh from Lloyd Irvin’s famous ‘BJJ Kumite’ tournament back in 2013. O’Connail has since piled up very noteworthy wins as a black belt, this while working on the development of European stars such as Ffion Davies, Miha Perhavec and Ellis Younger. 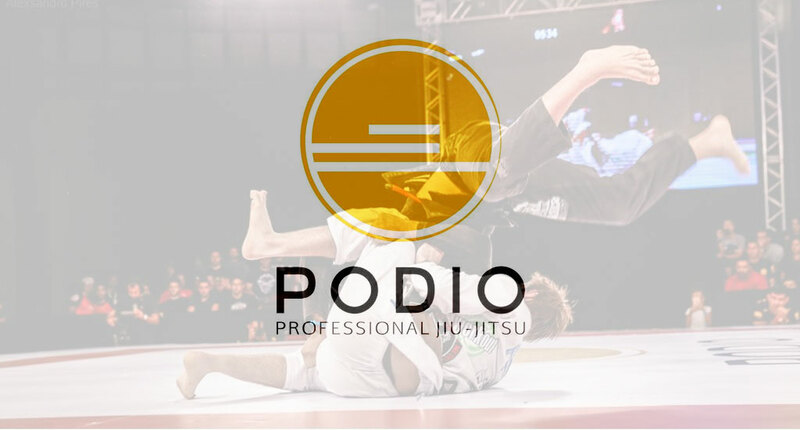 One of Copa Podio’s “out of the box” additions to this year’s GP is the Brazilian national wrestling team standout, Pedro Rocha, who is also the younger brother of the famed BJJ champ, João Gabriel Rocha. Pedro is one of the main freestyle wrestlers in his home country, and just so happens to train regularly, and compete under jiu-jitsu rules, albeit in nogi. Rocha, who is in the Navy, trains with Soul Fighters in Rio de Janeiro, and we have never seen him compete with the gi, as such we would not rate his chances of achieving a podium placement, although in Copa Podio, everything is possible.